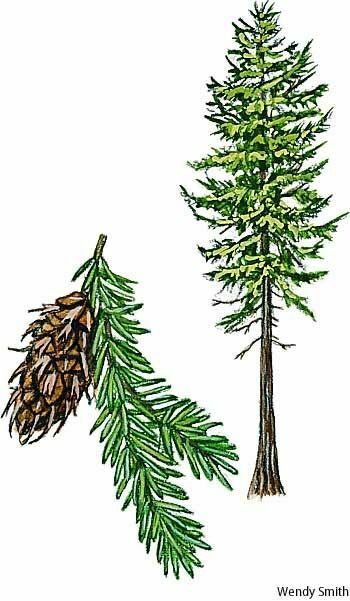 The magnificent Douglas-fir (Pseudotsuga menziesii) is, after the coast redwood, North America’s second-tallest tree, reaching heights of 300 feet or more. Found throughout the wetter parts of Cascadia, it was declared the State Tree of Oregon in 1939 and has appeared on Oregon’s passenger car license plates since 1988. 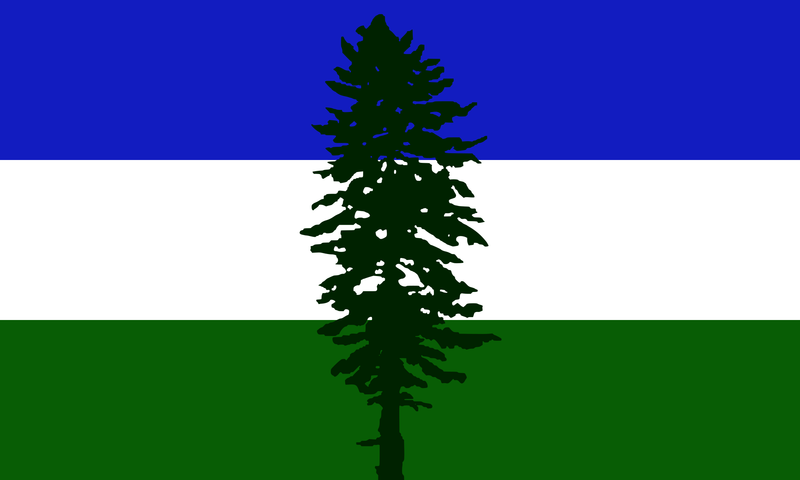 In designing a flag for Cascadia, Alexander Baretich chose the Douglas-fir as its emblem, based both on its prevalence in the bioregion and his lifelong familiarity with it, as dominated the southwest Portland neighborhood where he grew up. 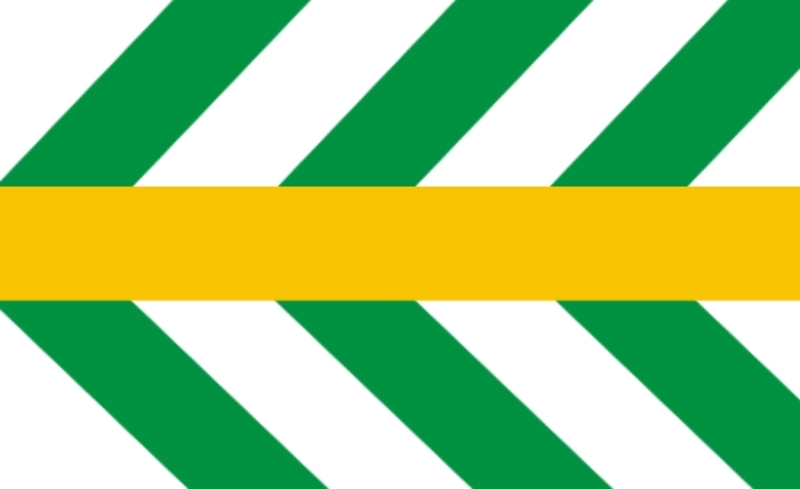 The Cascadian Flag, Alexander Baretich, designer. 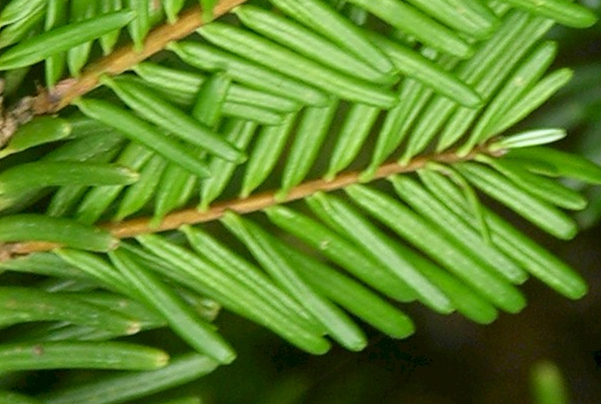 I came up with a flag that is a close-up of a Douglas Fir sprig–six needles on a twig. 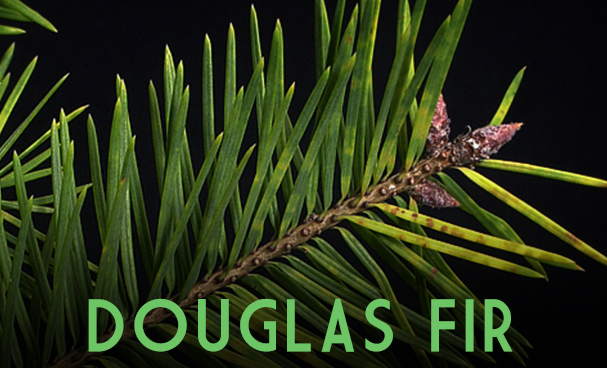 I got the idea because I sometimes play around with macro-photography, the Doug Fir is obviously a major symbol for the state, and I totally love the look of close-ups of conifer sprigs and other small, graphically-patterned natural phenomena. Viewed closely enough, they can look like hidden natural flags. His first design featured green needles symmetrically branching out from a central horizontal bar. He calls the design “the Doug Sprig”. 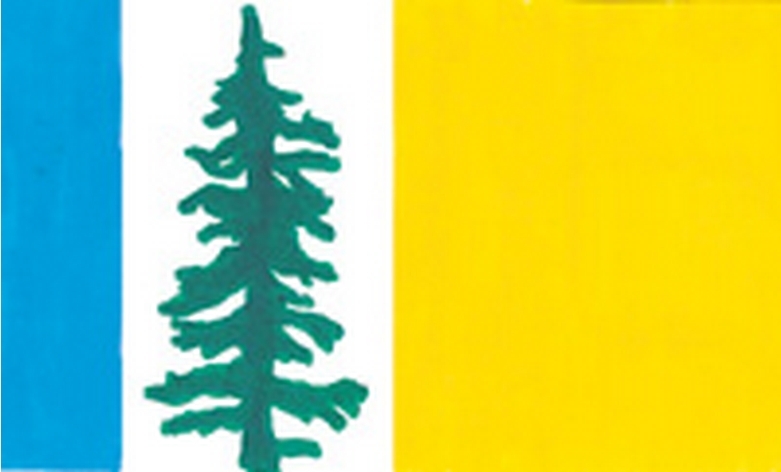 The Doug Sprig flag (version 1), designed by Clifton Stone. 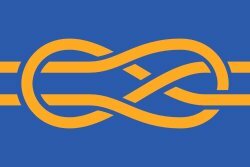 The Doug Sprig flag (version 2), designed by Clifton Stone. 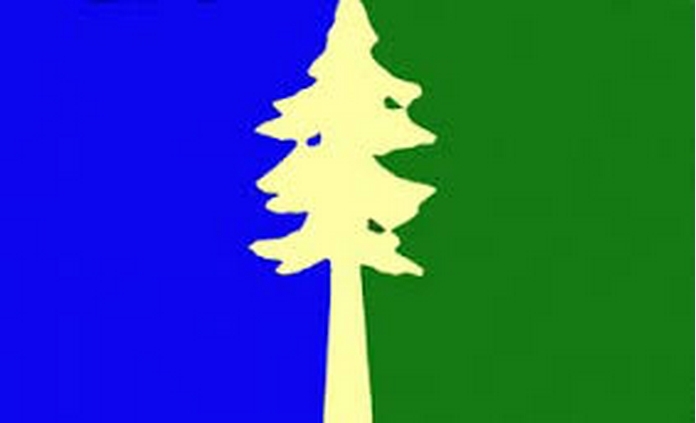 Two other Douglas-fir inspired proposed flags for Oregon can be found among the 10 finalists in The Oregonian’s 2008 Oregon Flag Contest. 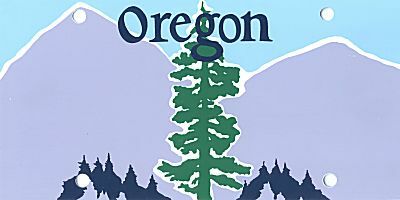 Proposed flag for Oregon by Lorraine Bushek, finalist in The Oregonian’s Oregon Flag Contest of 2008. 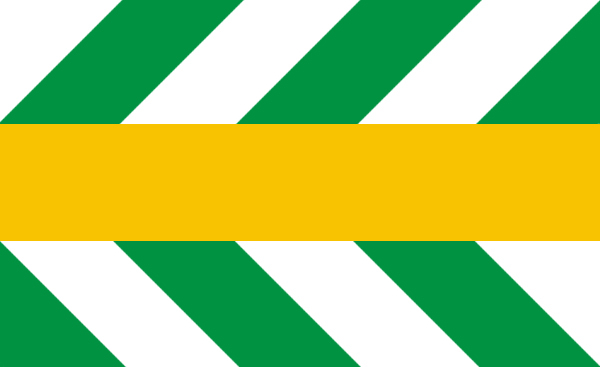 Proposed flag for Oregon by Karen L. Azinger, finalist in The Oregonian’s Oregon Flag Contest of 2008.